How to Apply: Job seekers who are willing to apply must sent their applications in prescribed form to recruitment.asdm@gmail.com. 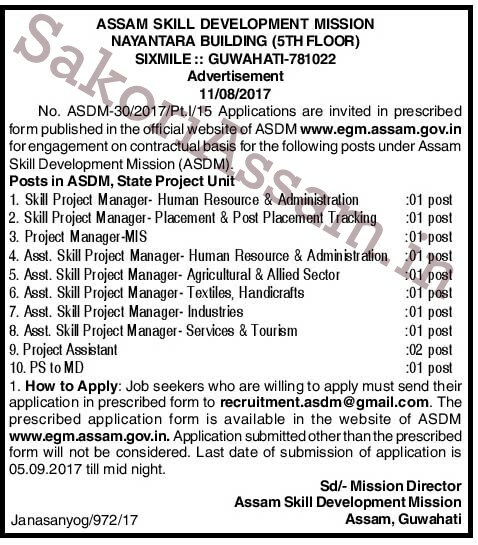 The prescribed application form is available in the website of ASDM www.egm.assam.gov.in. Application submitted other than the prescribed form will not be considered.